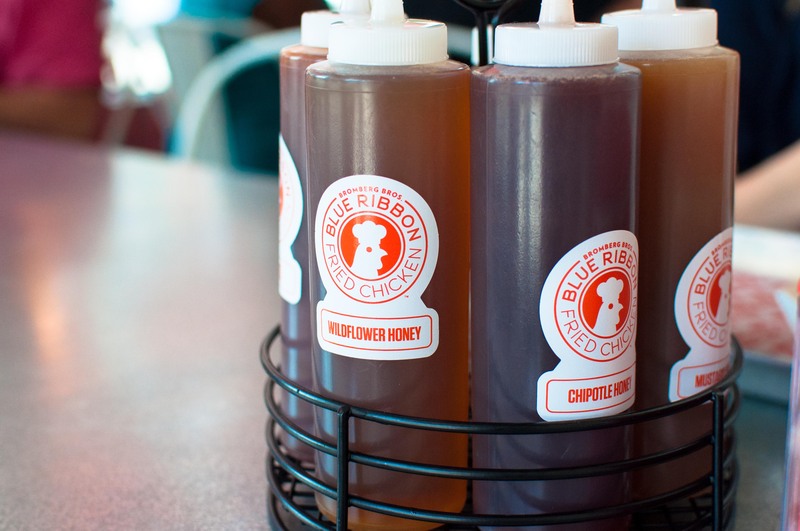 You know they are serious about southern fried chicken when there are three different types of honey at each table. Bromberg Brothers’ latest restaurant, Blue Ribbon Fried Chicken, certainly does not kid around. Wildflower honey, chipotle honey or mustard honey – the choice is yours to drizzle over the unbelievably flavorful and crispy crust. Don’t forget a dash of habanero hot sauce!